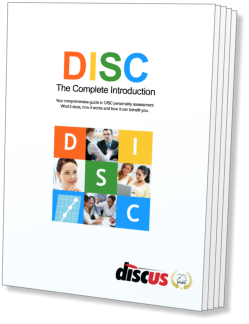 DISC The Complete Introduction is your comprehensive and indispensible DISC sourcebook. Inside you'll find out how DISC can help with recruitment and assessment, as well as building motivation and communicating and much more besides. Before getting into the depths of DISC profiling, we start the guide by easing you into the world of DISC with a general overview of the entire technique and its uses. This part of the guide fills you in on the theory that makes DISC tick, from its origins and first principles through to full DISC profile interpretations and personality types. You'll find a huge amount of DISC reference material inside the guide. Entire sections of reference material cover DISC factors in combination, as well as a complete library of DISC profile interpretations. DISC offers a whole range of advantages and benefits. In this section of the guide we look at the practicalities behind using DISC to recruit, assess and develop people. We also take a look at more sophisticated solutions like enhancing teamwork and career testing. To take full advantage of all of DISC's possibilities, you'll need a powerful profiling solution with a full DISC profiling feature set. That solution is Discus, and in this final part of the guide we'll take you on a tour through all its capabilities, and give you access to plenty of sample reports and other material. 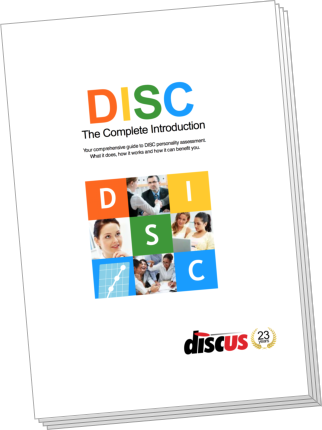 The full Complete Introduction to DISC is dense with valuable information, and it also includes links to even more resources on the Web, including videos, sample reports and everything you need to get started using the Discus DISC profiler. Just enter a few details here, and you'll be ready to download your free copy of DISC The Complete Introduction. Your free copy of DISC The Complete Introduction should download automatically for your convenience. If your browser doesn't download the document automatically, click the Download button below.